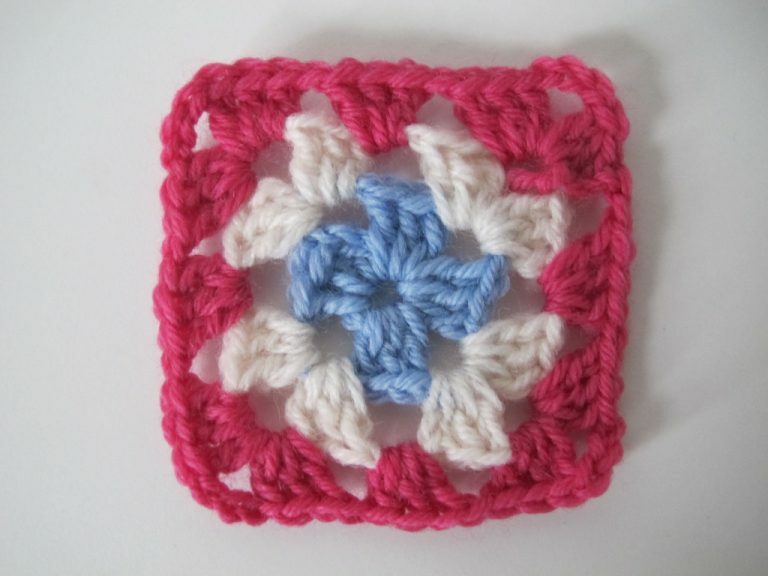 Here are the first four rounds of a basic granny square. 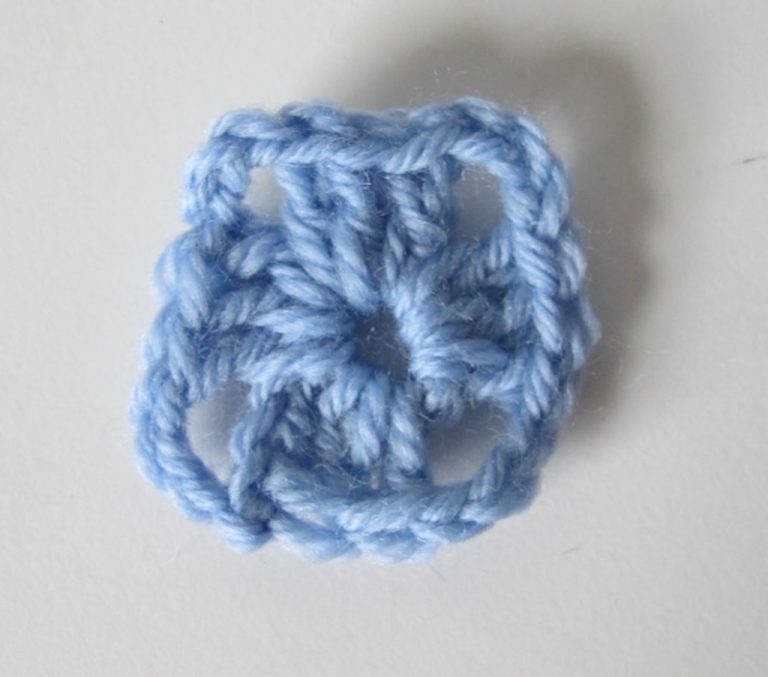 You can continue in the same manner, adding extra rounds to make your granny square as large as you like. 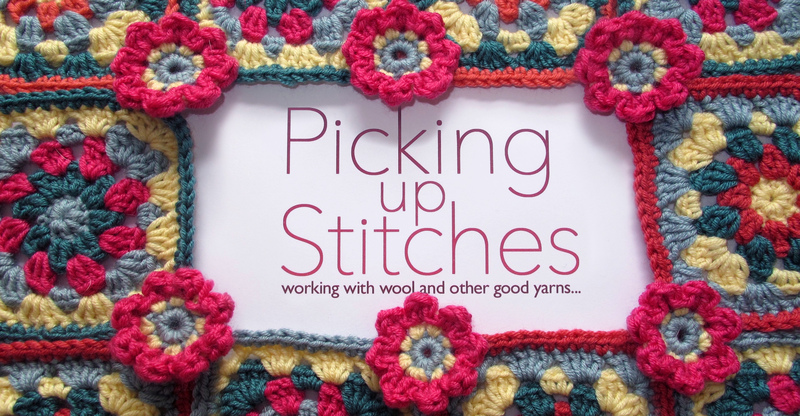 Work 6 chain stitches and join into a ring with a slip stitch. Chain 3 (counts as a treble), work 2tr into the ring, (3ch, 3tr in ring) 3 times, chain 3, then join to top of first 3 chain with a ss. You now have 4 sides and on the first side there is the group you started with, made up of the 3 chain stitches counting as a treble and 2 more trebles (this is at the bottom in the picture below), and on each of the other 3 of the sides there is a group of 3 treble stitches. In each of the 4 corners there are 3 chain stitches. Join in the next colour in any of the 3-chain spaces. Chain 3 (counts as first treble), work 2tr, 3ch, 3tr in same space, (1ch, 3tr, 3ch, 3tr in next chain space) 3 times, 1ch and join to top of first 3 chain with a ss. In each corner there is a group of 3 treble stitches, 3 chain stitches and another group of 3 trebles. Remember the very first group of trebles on this round will be made up of 3 chain stitches counting as a treble and 2 treble stitches. Between each corner (ie over the side of the square) there will be 1 chain stitch. Join in next colour in any of the 3-chain spaces. Chain 3 (counts as first treble), work 2tr, 3ch, 3tr in same space, (1ch, 3tr, in next 1-chain space, 1ch, then 3tr, 3ch, 3tr in next 3-chain space) 3 times, 1ch and join to top of first 3 chain with a ss. In each corner again there is a group of 3 treble stitches, 3 chain stitches and another group of 3 trebles. Remember the very first group of trebles on this round will be made up of 3 chain stitches counting as a treble and 2 treble stitches. Now on each side there will be a group of 3 trebles in the 1ch-space between the two treble groups on the side on the row below. On either side of this group there will be 1 chain stitch. Join in next colour to any 3-chain space, chain 3 (counts as first treble), 2tr, 3ch, 3tr in same space, *(1ch, 3tr in next 1-chain space) twice, 1ch, (3tr, 3ch, 3tr) in next 3 chain space. Work from * twice more, then (1ch, 3tr in next 1-chain space) twice, 1ch, then join to top of first 3 chain. Yet again in each corner again there is a group of 3 treble stitches, 3 chain stitches and another group of 3 trebles. Remember the very first group of trebles on this round will be made up of 3 chain stitches counting as a treble and 2 treble stitches. Now on each side there will be a group of 3 trebles in each of the 1ch-spaces between the treble groups on the side on the row below. On either side each group there will be 1 chain stitch. You can carry on adding rounds until the square is as big as you require. You will always work the 3tr, 3ch and 3tr in each corner (remembering that the first group on each row is 3ch, 2tr), and one more group of 3 trebles on each side. 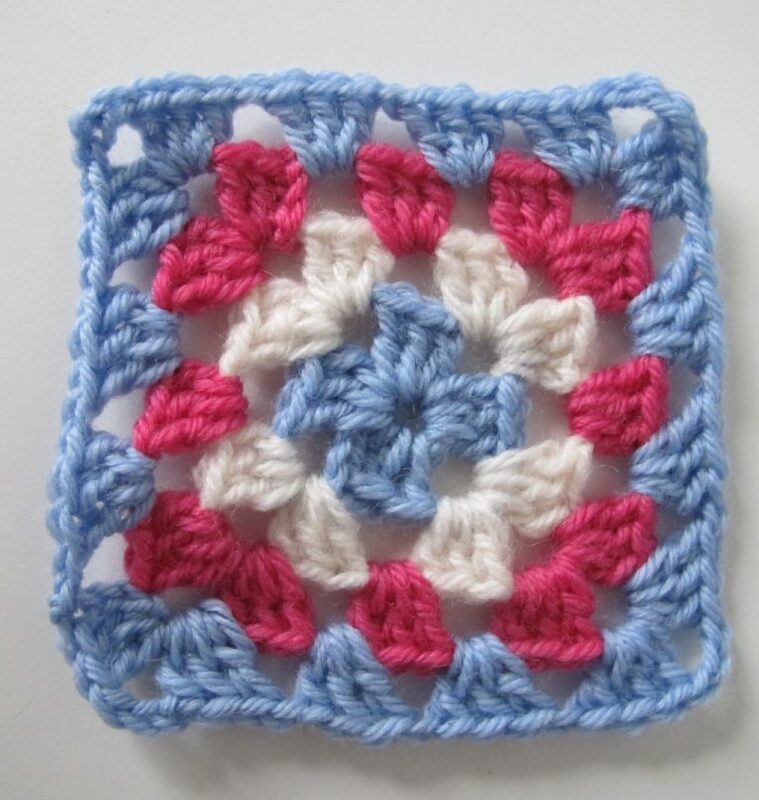 Once you have enough squares, they can be joined together to make blankets, bags, cushion covers, whatever you like. You could even use one square on its own as a coaster. 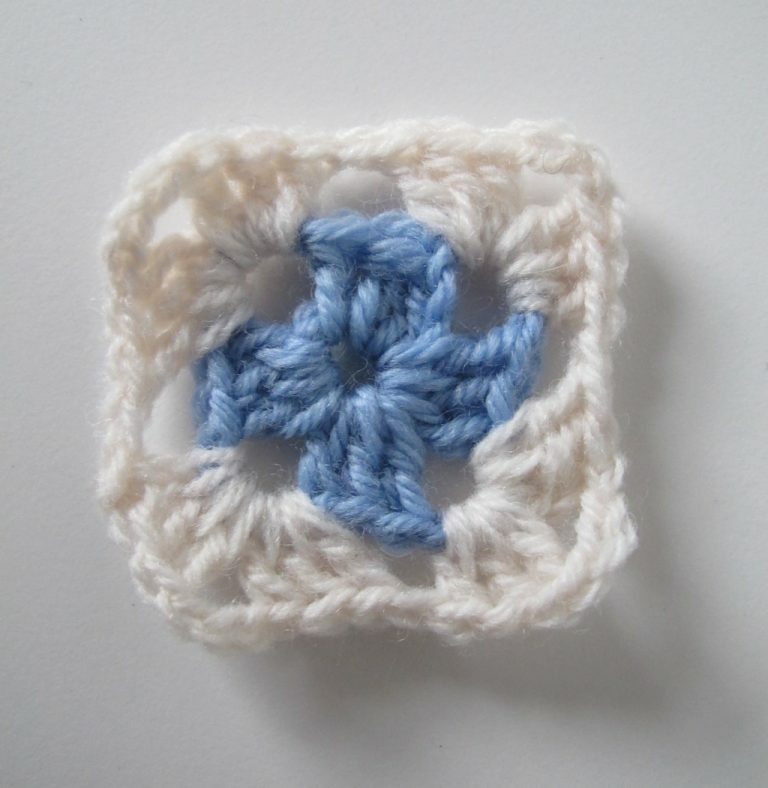 If you like, you can just add a row of double crochet around the edge to finish off.